In this guest blog post, Alexis Ellicott, CNFA Chief of Party on the USAID/Agro-Inputs Project tells Farming First how women are being empowered to enter into the male-dominated sector. Women produce more than half of the world’s food. Global population is forecast to reach 9 billion by 2050, and the world’s women will continue to shoulder a huge share of the responsibility for feeding all those additional mouths. But time is not on women’s side. According to the World Economic Forum, we still will be more than 120 years from full gender parity in 2050. It is no stretch to foresee that this continued lack of parity, should it persist as forecast, will severely hinder the ability of women to perform their key role in feeding the world’s population—and produce a potentially disastrous shortfall in the global food supply. Given these facts, it is clear that if we are to meet our future food needs, we must put increased emphasis on empowering the world’s women farmers and rural women entrepreneurs. And we must act quickly. Empowering women in many – perhaps most – areas of the world is not a simple task. As anyone involved in global development can attest, efforts to promote gender parity must clear hurdles unique to the social and cultural setting of each initiative. The theme of this year’s International Women’s Day — “Be Bold for Change” – hits close to home for me. For the last two years, I have lived in Bangladesh, working with Cultivating New Frontiers in Agriculture (CNFA), which is implementing the USAID/Agro-Inputs Project (AIP). The effort has been a broad success, not only for men, but also for women. Through the creation of a local Agro-Input Retailers Network (AIRN), AIP now provides funding, training, and technical advice to more than 3,000 retailers selling inputs such as seed and fertilizer – including more than 200 women in what previously had been an almost entirely male-dominated sector. AIRN has a trainers’ pool comprised of experts and retailers who deliver hands-on, easy-to-understand training on quality inputs and business management. This initiative has revealed examples of the sorts of obstacles women face when attempting to play a greater role in rural economies. Through research conducted in 2013, AIP learned that the small number of women-run agro-input (farm supply) businesses that then existed typically operated out of a woman’s home, and that women primarily sold only seeds due to societal “taboos” against women handling other inputs such as chemicals. AIP also discovered that 87% of the households in the surveyed area were headed by men, and that nearly 74% of men claimed sole household authority for decisions regarding the purchase of inputs. These societal attitudes are deeply ingrained, so the key to empowering these women to achieve success in agriculture and agribusiness meant designing solutions that conformed to the local cultures, rather than trying to change those cultures outright. That meant using tools within the cultural and societal environment itself to overcome obstacles that prevented women from gaining gender parity in the agro-inputs sector. 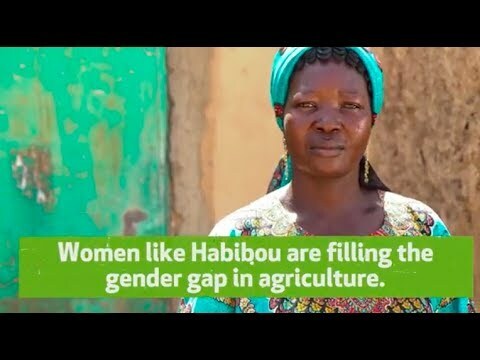 Under AIP, for example, even after receiving verbal and written consent from family and local community leaders—a critical step in ushering women into agribusiness–we learned that a woman’s acceptance by male peer retailers was ultimately the critical factor in her ability to successfully enter the agro-inputs sector. 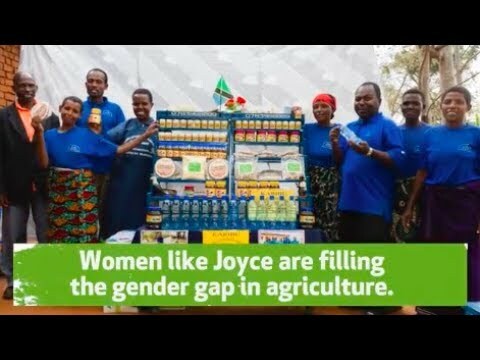 CNFA therefore adjusted its approach to leverage more than 300 male “champions” – local agro-retailers who provided interpersonal counselling during the launch stages of the women retailers’ new businesses. In this way, CNFA was able to directly support the success of these women, while more effectively normalizing the notion of female business ownership within a male-dominated sector. In fact, over time, experienced women retailers also began to serve as champions to others through formalized visits and discussions, and more than 30 women now participate as leaders in AIRN local committees. AIRN members keep sales records, which helps them to get better idea of inventory needs. Empowering women in these efforts also required other adjustments. Due to their generally lower levels of education, lack of business expertise, limited freedom of movement, and the general gender segregation in Bangladesh, training had to be held in areas close to the women’s residences and teaching styles had to be modified. For many women, this was their first formal professional training. We found that participatory exercises increased engagement and adoption of the material over more traditional “classroom” approaches. And to ensure the sustainability of these new retailers, additional initiatives were designed to enhance their leadership and decision-making skills. Another AIRN participant, Swapna Begum, can now play a bigger role in supporting her family. “Earlier, working as a day laborer and tea stall owner, I faced difficulty in supporting my family. That’s why I wanted to serve in a role that would benefit my family and community better. AIP’s matching grants program has pushed me forward to be a successful woman entrepreneur in agro-inputs business”. Efforts have paid off, but the lessons learned from them must be passed on, refined and repeated in rural areas around the world. I can attest to the fact that these important and critical changes are possible even in a country where rigid societal and cultural attitudes prevail – as long as those attitudes are respected and carefully addressed. It is in fact time to be “bold for change,” to empower women in rural societies, and prepare them to assume a greater role in addressing the challenge to feed our growing world. Governments, nonprofits and other organizations must continue to work together to make this happen. All of our futures depend on it.